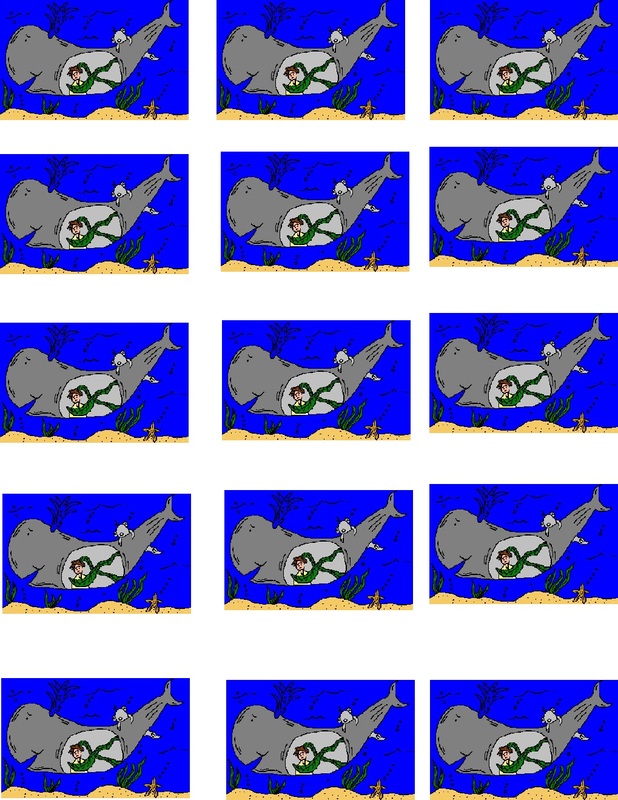 Print out Jonah and the Whale Template. Glue it to Popsicle stick. Put glue on blue water. Sprinkle blue glitter on it.